There have been little moments around the house lately where I have only had to kick a few toys out of the way to get a picture that looks really good. My new(er) job is right near an awesome shop in Evanston called trash and treasures that’s packed with furniture and art and I try not to go in there too much because it gets me in trouble. I bought a new lamp for my side table in the living room to replace a glass lamp I bought in Atlanta a decade ago that had wiring that’s going bad. 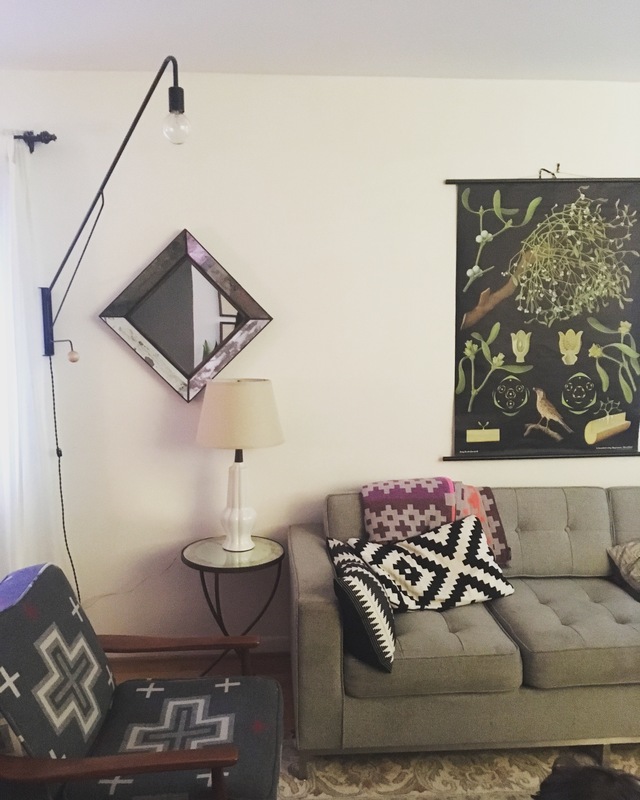 The mirror and mirrored table are crate and barrel, couch by Gus modern, that same IKEA pillow everyone has, hay blanket swing arm lamp by one forty three and chair found on the sidewalk on Atlanta in 2004 and reupholstered in Pendleton fabric. It looks kind of civilized. 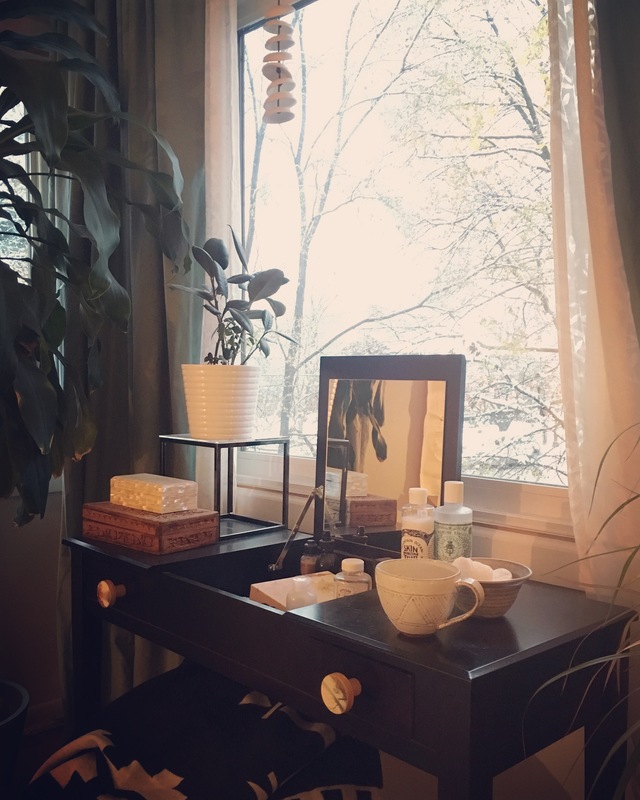 Then it snowed and all our living room plants moved into new spots to make room for the Christmas tree and my vanity looked so nice with my new A Question of Eagles mug on it. The pulls on the vanity are by chocolate collective on etsy, the hanging chimes are pigeon toe ceramics, the blanket on the seat is pendleton again. I wish I was a half decent photographer but so far it’s a skill I don’t have. Maybe I’ll have Julio take pictures of the house..
I’m also in Chicago – hello neighbor 🙂 You have a lovely home! I love the mix of patterns you have going on with your textiles.